Why should I buy placebo pills from Zeebo Effect? People who take Zeebo pills know Zeebo is free of active ingredients. Zeebo mainly contains Microcrystalline Cellulose. Zeebo touches your heart and mind. Zeebo pills complement your care. The Zeebo tracking app provides insight. The Zeebo® brand is designed to increase trust in your body’s power to help itself. Trust Zeebo®, trust your Self. I have to admit that … I really didn’t believe in Zeebo placebo pills… So after a few days I was surprised to realize that it was actually working for me!! I used Zeebo to draw my attention to healthy eating habits. Taking the pill and logging it in the app distracted me from mindless eating. A big part of ridding ourselves of our ailments is to take control over them. Zeebo is kind of weird, but in a mysterious way, empowering. I take Zeebo placebo pills for occasional headaches. Several times now I took a Zeebo and that was all that I needed. In every moment of our life, mind and body interact in a myriad of subtle ways. Yet, our perception of this dynamic is rather crude: we either believe our mind has absolute control over our body (e.g., reach for the coffee mug) or we believe we do not have any body control at all (e.g., the body produces symptoms). Recently, however, scientists from various disciplines have conducted insightful studies showing that the sensations of our mind, such as thoughts, emotions, and complex experiences, can affect our health in very specific ways. The skillful design of experiences is now being recognized as a valid field of research for restoring and maintaining health. 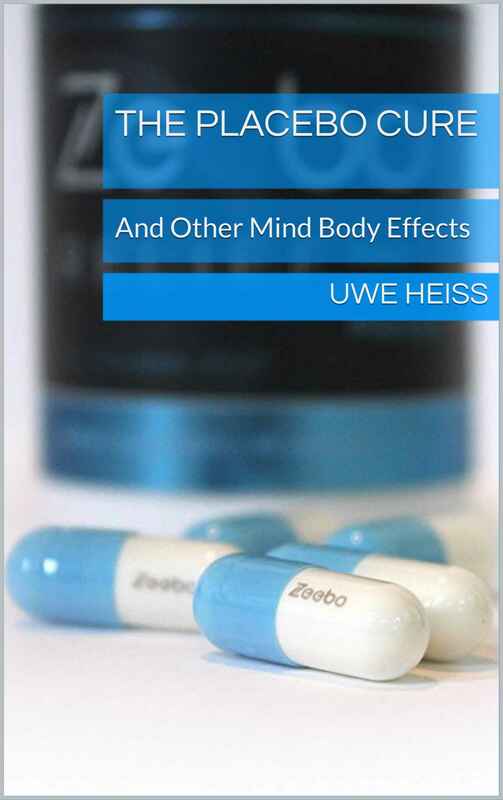 In The Placebo Cure, the scientist turned entrepreneur Uwe Heiss shares with us what he learned form Quantified Self experiments and from encounters with physicians, patients, meditators, Silicon Valley innovators, placebo researchers. He also draws from 20 years of experience with launching healthcare startups focused on patient empowerment. 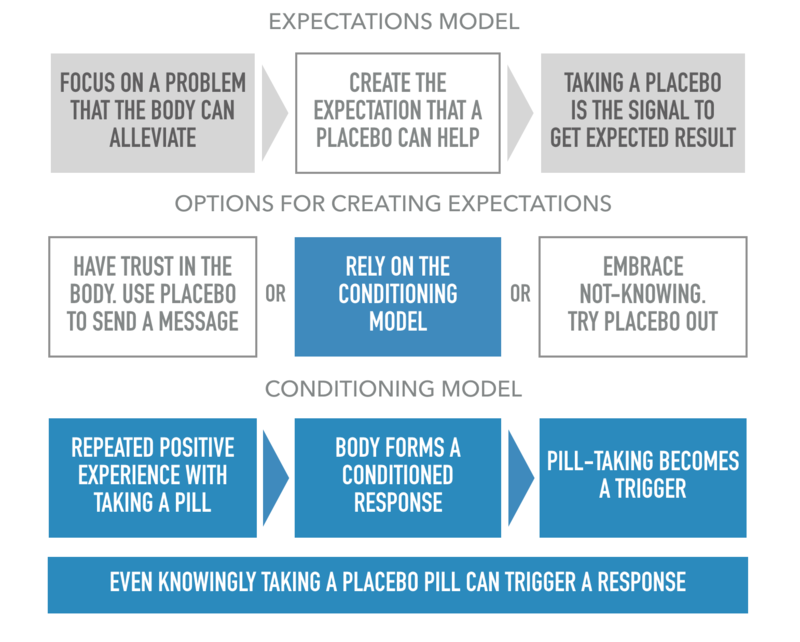 The Placebo Cure shows us the immense potential offered by intentionally designed experiences to affect our mind and health. With a mission of healthcare transformation at its core, The Placebo Cure aims to bring about a paradigm shift that redefines how we will relate to patients and to ourselves and expands the scope of medicine beyond the conventional scalpel and biochemical drug. FAQ – Why buy placebo pills from Zeebo Effect? How do I take Zeebo? Describe what you expect from taking Zeebo. Define when to take Zeebo. Track the symptom before and after taking Zeebo. Take Zeebo several times to gather enough information. Assess your experience with Zeebo and make design changes as needed. Does Zeebo work for me? What is special about Zeebo? Zeebo is a unique solution to promote well-being. We created a branded pill-taking experience and combined it with a unique tracking app. What is in Zeebo capsules? We use an inert filler called microcrystalline cellulose (MCC). MCC is pure, natural fiber. Design is a key element in your Zeebo experience, so a very small amount of food colorants (Red #1 and Blue #3) is used to give Zeebo gelatin capsules their perfect look. All ingredients are sourced from and processed by certified manufacturers in the USA. Open or honest placebos are a new concept. A person who takes an honest placebo pill knows it only contains inert ingredients. There is no deceit involved. There are several studies published on taking honest placebo in a safe setting. Historically, sugar has often been used as a filler for placebos (sugar-pills). However, sugar is somewhat of an active ingredient, so it can cause problems for people with, for example, diabetes. Fillers in pure placebo capsules are inert—they pass through the body without much interaction. Today, brands play a tremendous role in the marketing of products and services. Brands convey meaning that reaches the subconscious. Branded Zeebo pills harvest the power of modern marketing to promote well-being. Each Zeebo pill was produced by a high-end manufacturer in the US. Zeebo pills come in the Zeebo brand color in light blue and white, with the Zeebo logo printed on the white section of the cap. Zeebo branded capsules are unique. Zeebo is The Healing Brand. Zeebo® pills have been designed with much care. We think of all our users who take Zeebo every day. We deliver Zeebo® exclusively via Amazon. Join thousands of customers on a safer journey to well-being. © 2014 – 2016 ZEEBO EFFECT, LLC. ALL RIGHTS RESERVED.